Before we look at the numbers, let’s take a brief look at the test system that was used. All testing was done on a fresh install of Windows 10 Pro Version 1703 64-bit and benchmarks were completed on the desktop with no other software programs running. 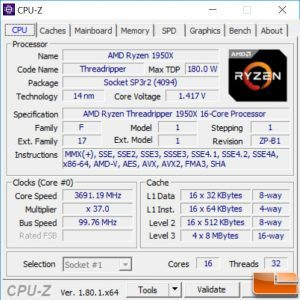 The Intel X399 platform that we used for testing consisted of the ASUS X399 Zenith Extreme motherboard, G.Skill 32GB 3200MHz DDR4 dual channel memory kit was manually set to 3333MHz with 14-14-14-34 1T memory timings. We used an NVIDIA GeForce GTX 1080 8GB Founders Edition video card. 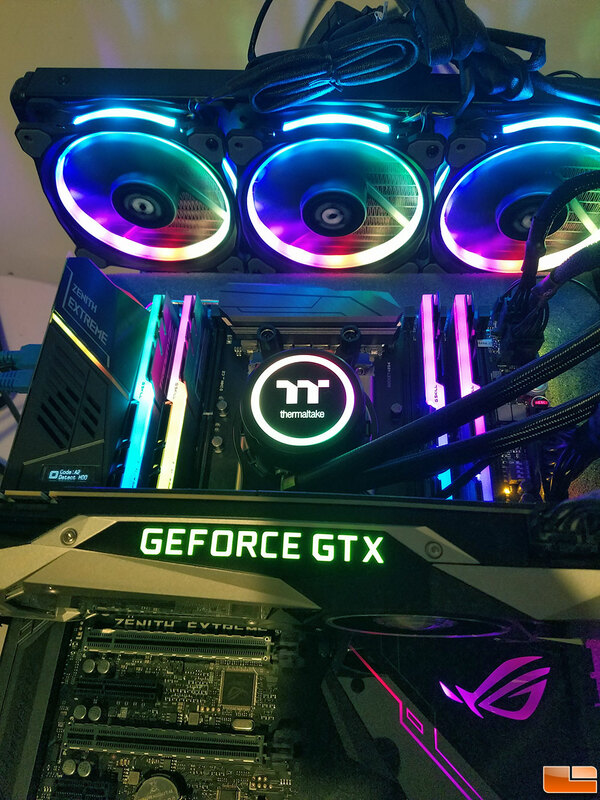 We also used the Corsair AX860i digital power supply, Thermaltake Floe Riing RGB 360 TT Premium water cooler and Samsung SSD 960 M.2 PCIe SSD. Each CPU Cooler was plugged into the CPU Fan 4-pin power header on the motherboard and the fan profile was left to default settings in the UEFI. Prolimatech PK-3 Nano Aluminum Thermal Compound ($14.97 shipped) was used for all the coolers and applied the same way for each cooler. 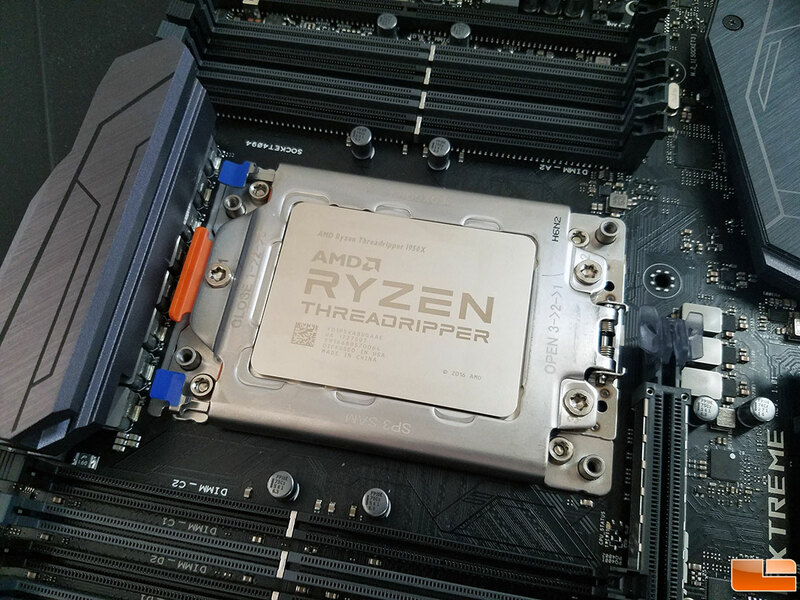 Here is a closer look at the AMD Ryzen Threadripper 1950X in the AMD TR4 socket (also known as Socket SPR3r2). There are 4,094 contact pads on the bottom of the processor and this is the largest desktop processor that we have tested in the 15 years that we have been around. You can also check out a CPU-Z screen shot of the 1950X below. Let’s move onto the benchmarks!